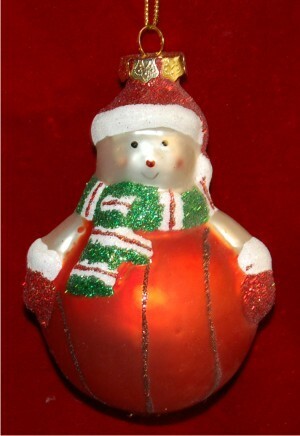 In this sporty and fun ornament a snowman has the body of a basketball. This unique Christmas ornament is perfect for a avid basketball fan. Wonderfully decorated with green and red touches and just a little glitter, this ornament is really festive.